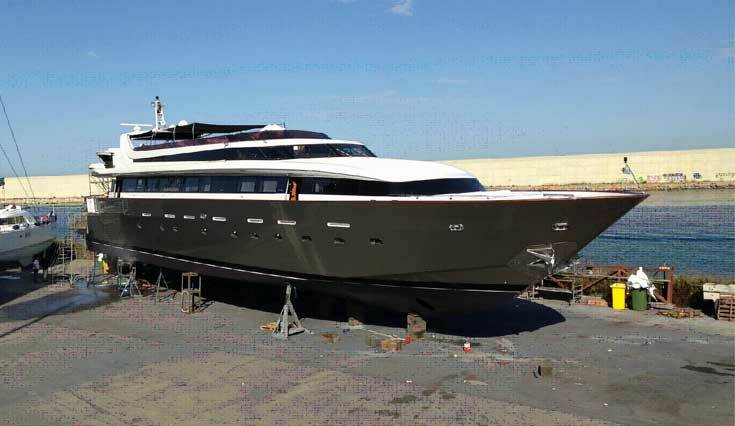 39.5M yacht ‘Beyond the Sea’ gets full hull wrap from white to a gloss titanium gold totalling over 500m of vinyl film in length. 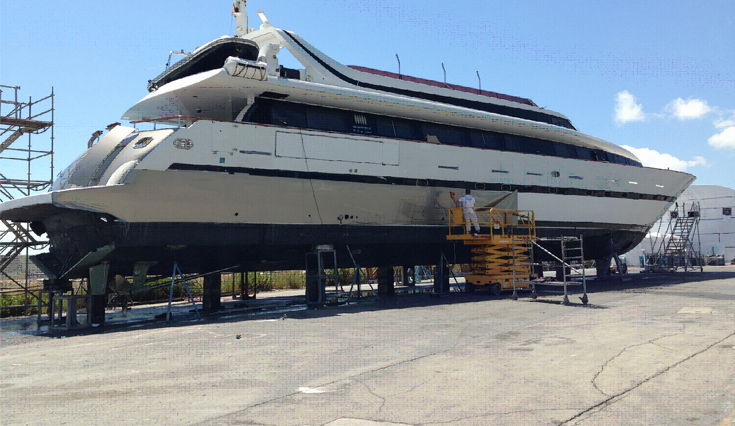 One of the first motoryachts of her size with vinyl application on the full hull and flybridge. The aplication on the transom and hull were slightly more challenging due to their rounded forms. 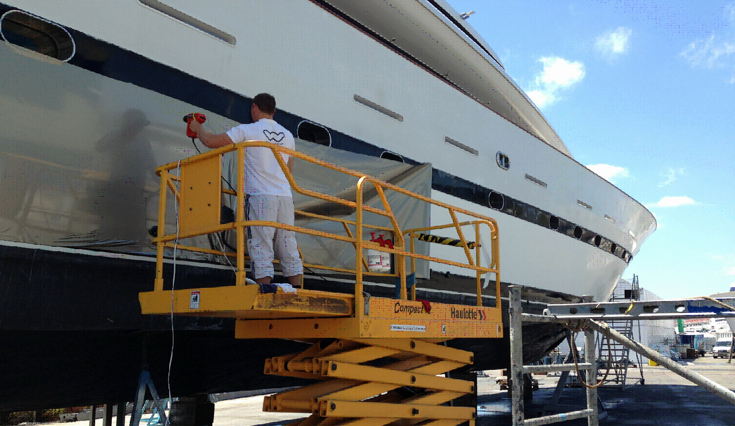 All modules on the flybridge were dismounted and prepared for the application. Carbon fibre and chrome detailing were applied to the helm station. The application took place in Barcelona over 10 days. Works were carried out outside with no tenting needed. 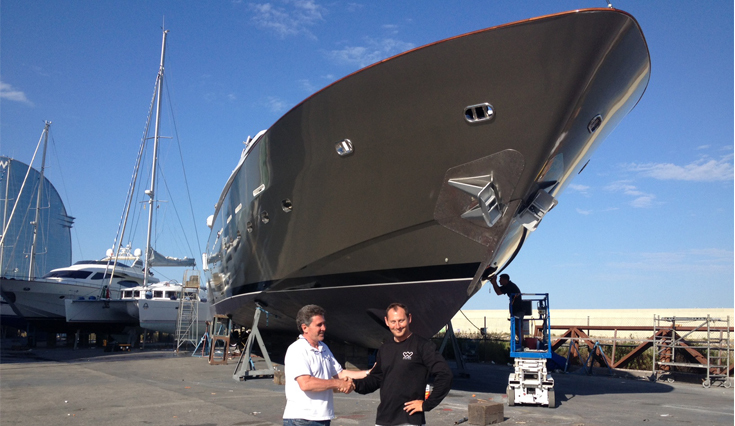 The owner captain had a tight charter programme and no time to allow for an extensive paint job. 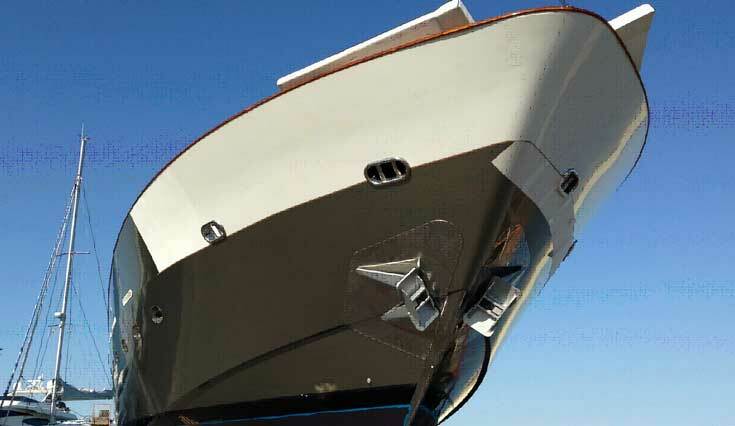 Vinyl application proved to be a great alternative at getting the job done in a small space of time while also offering the benefit of protecting the hull. The application transformed the look of the yacht.